One possible manufacturing method for bone scaffolds used in regenerative medicine involves the acoustic irradiation of a reacting polymer foam to generate a graded porosity. Sonication of foams have been our focus of research for many years now as this technology allows the porosity tailoring of cellular materials. We have joined forces with Prof Mulholland’s team (Dr Barlow and Dr Bradley) at Strathclyde University and worked on a mathematical model of a non-reacting process in order to develop theoretical confirmation of the influence of the acoustic signal on the polymer foam. The model describes single bubble growth in a free rising, nonreacting polymer foam irradiated by an acoustic standing wave and incorporates the effects of inertia. Investigations are carried out to explore the influence of inertia on the bubble volume, fluid pressure and the stress tensors of the foam, and to explore the effect of fluid viscosity and acoustic pressure amplitude on the final bubble volume, and the curing time. A key result is that increasing the applied acoustic pressure is shown to result in a reduced steady state bubble volume, indicating that ultrasonic irradiation has the potential to produce tailored porosity profiles in cellular materials such as bioengineering scaffolds and light-weight structures. Our work has been compiled as a paper recently published in the Journal of Non-Newtonian Fluid Mechanics and can be found here (Open Access). The very prestigious Queen Elizabeth Prize for Engineering has invited me to contribute to their blog this month. October is dedicated to exploring the future of Manufacturing and they wanted to hear my story about the work we do in porosity tailored structures inspired by nature. It is a great honour to be showcased by them. The Queen Elizabeth Prize for Engineering is a £1million prize fund awarded to an engineer, or group of engineers, whose innovation has been of global benefit to humanity. Alongside awarding the prize, the QEPrize foundation also exists to celebrate and promote engineering, encouraging the next generation to take up the challenges of tomorrow. 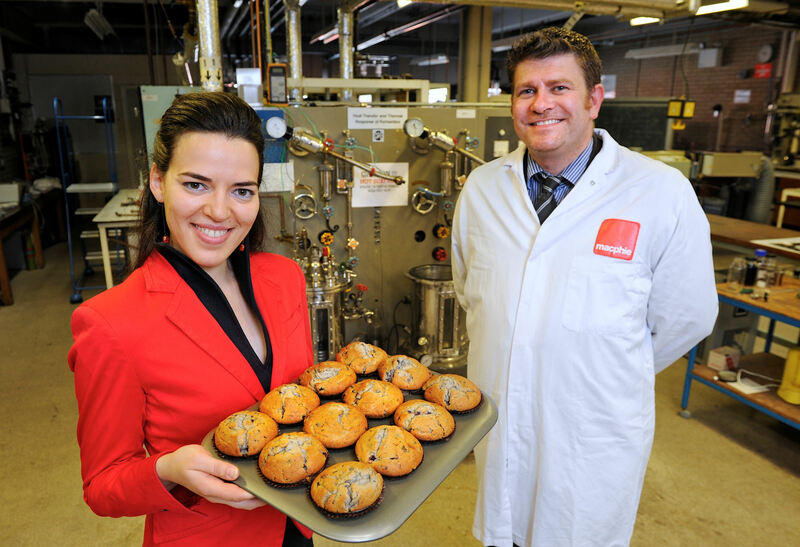 A collaborative project between Macphie of Glenverbie, food ingredients suppliers and manufacturers, and my research group has been highlighted by the Scottish Food and Drink Federation. 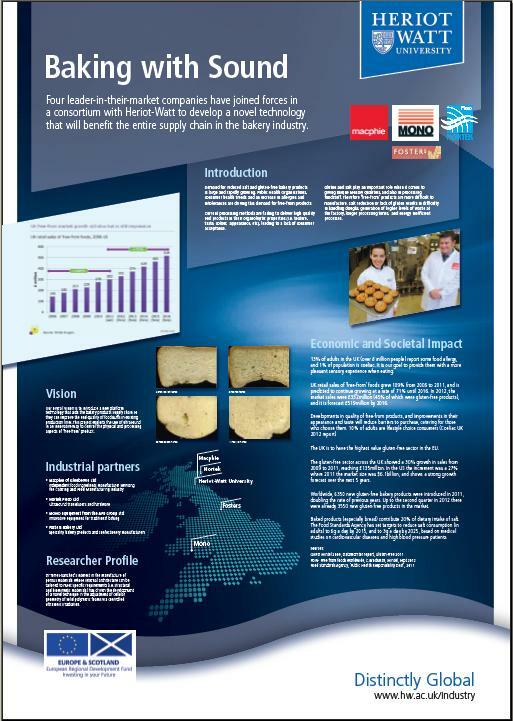 This research project has a remarkable character of knowledge transfer and is the founding stone for a larger implementation project in which the bakery industry will benefit thanks to our novel strategy to control and tailor structures. 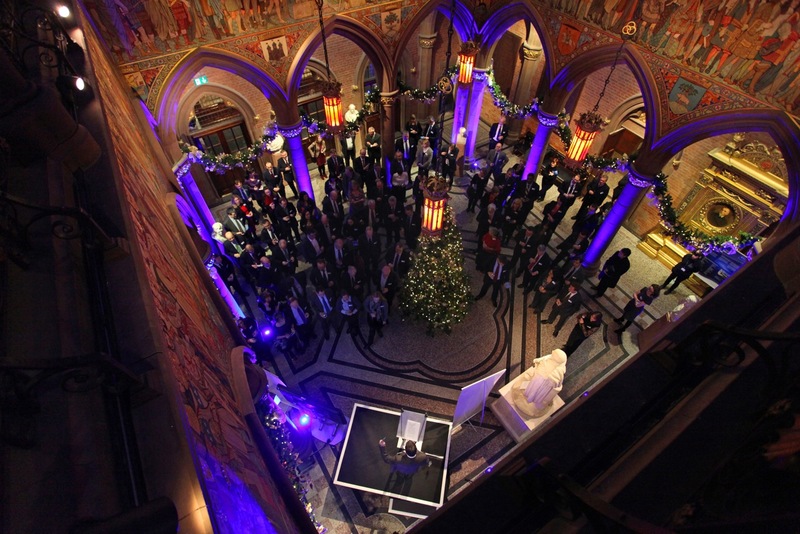 This project was also showcased in their last Parliamentary reception (Scottish Parliament, Sept 2011). Richard Lochhead MSP, Cabinet Secretary for Rural Affairs and the Environment, underlined in his keynote speech the importance of innovation and the benefits of partnerships in academia and industry. More on this day can be seen here, page 8. Heriot-Watt and Macphie have a record of successful collaboration in different projects at both Undergraduate and Postgraduate level.